One hundred percent of the IDEA class of 2018 signed their commitment to graduate from college this April. For the 10th consecutive year, IDEA’s college preparatory schools were ranked among the best performing high schools in the nation by U.S. News & World Report. This annual list of rankings reflects the rigor and success of our commitment to our scholars on the road to success in college and in life. It is fitting we receive this great news during Teacher Appreciation Week, as the work of so many of our educators has directly contributed to our students’ amazing results and these rankings. In U.S. News & World Report’s annual ranking of best high schools in the nation, four of IDEA Public Schools high schools received a gold medal ranking for college readiness and high rankings on the list. More than 20,500 public high schools across the country were analyzed in order to determine the rankings. To calculate their list of the top performing public schools in the nation, U.S. News & World Report examined college-readiness data based on a methodology that incorporates performance on state proficiency tests, participation in and performance on challenging college-level coursework, and other data, such as graduation rates. 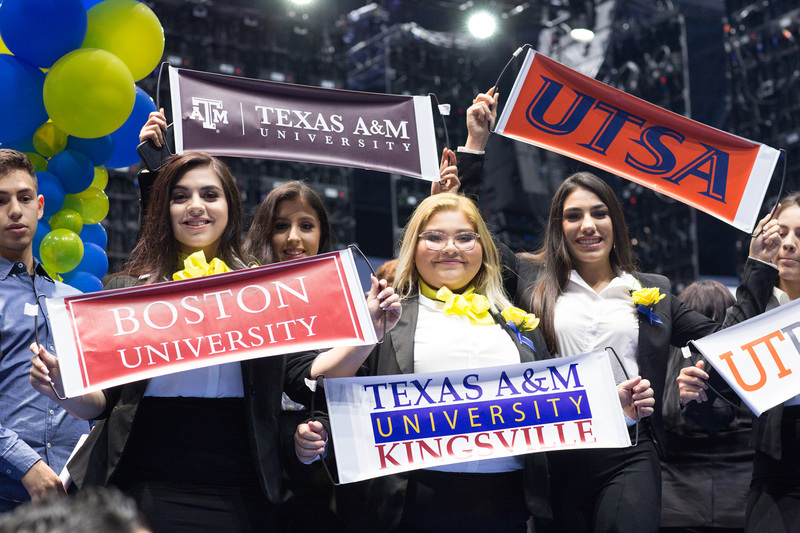 The rankings reflect IDEA’s unique College Success Model – an integrated mix of classes, activities, and events that include individualized instruction at the Academy level, pre-AP courses starting in 6th, and a full complement of college counseling, workshops, and college campus experiences throughout high school. 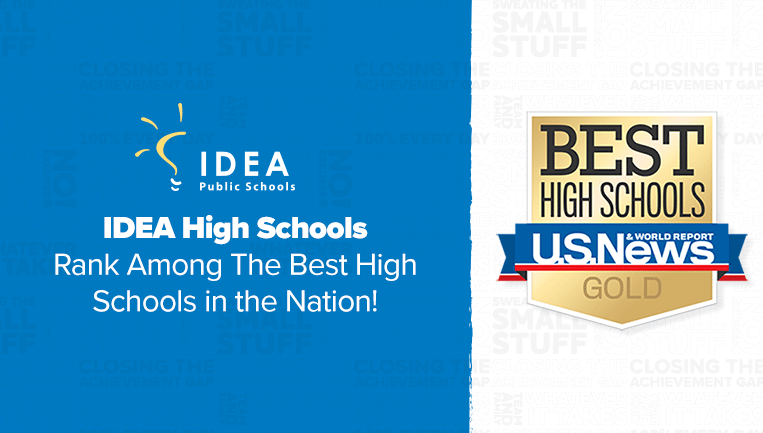 Congratulations to these IDEA schools for being ranked among the best in the nation! While these rankings pertain to high schools, we know the success would not be possible without a strong foundation at the academy and middle school level.